If you enjoy traveling, but you do not enjoy the hassle of dealing with the strict check-in and check-out times, you might consider buying a recreational vehicle. This is a great choice for people who enjoy making their own decisions when they travel. If you choose a location that does not have a hotel, it will no longer be a problem! Before you go out and buy a recreational vehicle, there are some things you need to consider. Which Recreational Vehicle? 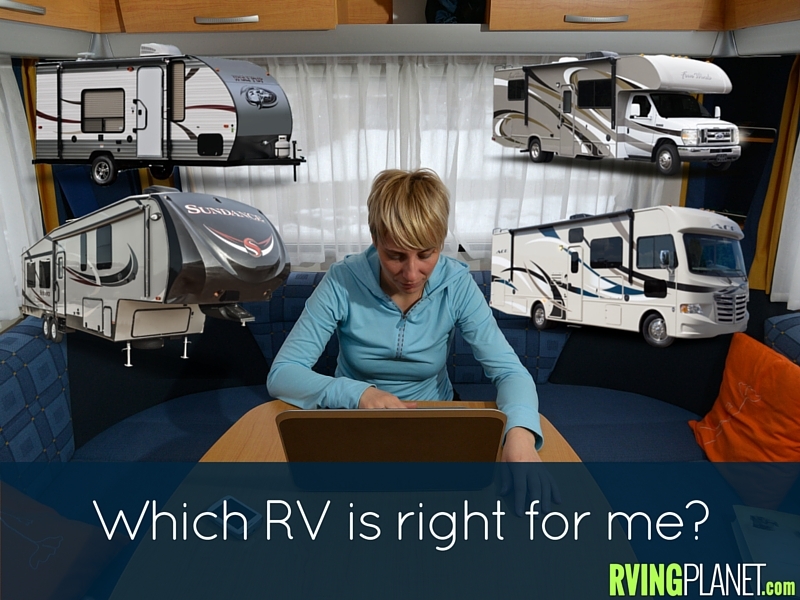 First, ask yourself what kind of RV is right for your circumstances. You might only need a simple pop-up camper, tow-behind camper or a large motor home. There are big differences in each unit as well as the costs for each unit. Visiting several dealers and viewing the different rv types that will give you a better idea of what will work best for you. For a helpful tool make sure you check out our Buyers Worksheet. New or Used? Most people will prefer a new model recreational vehicle over a used one. Saving money on a recreational vehicle may not be on the top of your list, but it should be considered. More often than not, used rvs are in better shape than you would think. They are usually very well cared for, and the little bugs in the plumbing and electrical systems are usually correctable. The discount in price can be up to 50 percent off the cost of a new one. A used recreational vehicle does require a good inspection. Hiring a rv service center to have it checked over is always a good idea. Check to see there is enough sleeping room for everyone in the family, and make sure you can all eat together if that is what you enjoy. Checkout the RVing 101 section. Which Financing Option – You want to think about how you will finance your recreational vehicle. If you have cash and can pay for the recreational vehicle without getting a loan, this is your best bet. If you require financing, visit a local credit union or bank to see what kind of rates you can get for a loan. Normally, you will get better rates at a local bank. Recreational vehicle loans are considered risky by banks because they depreciate so much in the first few years. Negotiating the Price – Once you have selected the type and model recreational vehicle you want and you have the financing in order, you want to talk to the local dealer and negotiate your purchase price. Unless you have money to throw away, do not just agree to the asking price. Get several quotes from different dealers so that you can use this when negotiating price. Always try to aim for 20 percent below the suggested retail price, and do not be afraid to walk away from a deal if the dealer will not negotiate. There are too many dealers from all around who will want your business. Whether you buy a new or used recreational vehicle, choose something you like, and negotiate a good deal before you purchase. Always consider buying a warranty for your recreational vehicle so that you are protected. Last, but not least, get out on the road, and enjoy your time away with family.